Today has been lauded World Oral Health Day by the World Dental Federation and I’m just over here, counting my teeth, trying to make sure that my impending senior citizen status hasn’t caught up with me yet. But while I have you here, tell me, how’s your oral health? Did you know that senior citizens should possess a total of 20 natural teeth at the end of their life to be considered healthy? Children should possess 20 baby teeth and healthy adults (that’s us, yo) should possess a total of 32 teeth and 0 dental cavities! A healthy mouth and a healthy body go hand in hand! World Oral Health Day is an international day to celebrate the benefits of a healthy mouth and to promote worldwide awareness of the importance of oral hygiene. This year’s theme is “Say Ahh: Think Mouth, Think Health”, a message used to drive home the fact that 90% of the world’s population suffers from oral diseases. Many of these are avoidable though! Oral diseases can impact every aspect of life… besides for personal relationships and your own self-confidence, it can even affect your enjoyment of food. The crazy thing is that many people are not aware of the basics to good oral hygiene. 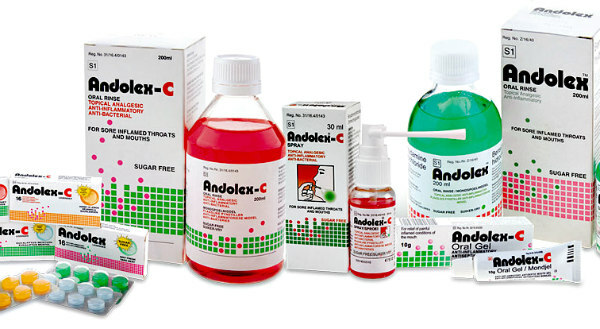 Non-prescriptive dental care products, such as the Andolex C range, is a really easy way to help prevent and relieve common oral health problems, like gingivitis. 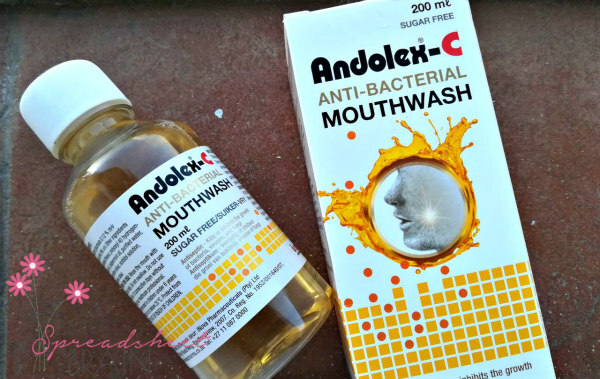 The Andolex C range includes products such as Andolex C oral rinse, oral spray, oral gel and the new Andolex C antibacterial mouthwash, which can be used for up to 10 days. These products contain Benzydamine which provides an analgesic (pain reducing), anesthetic (numbing) and anti-inflammatory effect. 3. Check out Facebook on March 30th to see if you’re a winner! *Don’t go to bed without brushing your teeth. •Treat flossing as important as brushing. •Don’t let flossing difficulties stop you. How I ensure good oral health for myself is by brushing my teeth twice a day,flossing after every meal and oh yes, changing my toothbrush atleast every 2nd month. I soak my toothbrush in hygienic mouthwash at night ( don’t know.why though) but it just gives me an assurance that my toothbrush is clean. 5) See A Dentist Every 6 Months. 2)Eating sugar free gum that helps with your teeth after having something to eat. Floss and brush your teeth twice a day. Brush at least twice a day, floss daily and replace your toothbrush quarterly. FLossing and brushing your teeth twice daily. Flossing and brushing your teeth daily. Replace toothbrush every 3 months. By brushing my teeth twice a day. Replacing my toothbrush every 3rd month. Soaking my toothbrush in mouthwash before next use and also flossing regularly. Brush twice a day and floss. Using mouthwash can also help and going for cleanings twice a year. You actually need to brush for at least 2 minutes at a time, so 2 minutes twice a day (morning and before bed for me). And if I go out then it’s 3 times a day. Make sure to brush every single tooth at every single angle, including wisdom teeth right at the back, and don’t forget your tongue. Definitely regular visit to the dentist. I think it’s extremely important to replace your toothbrush often because keeping a toothbrush for too long with result in a build up bacteria which can cause infections and ITS VITAL TO FLOSS. Strawberries are a natural teeth whitener. Munch munch. _How do you know if you have good oral health? #OralHealth _ Good for life! Brush twice a day, floss regularly, replace your toothbrush every 3rd month and eat sugar-free gum. Brushing your teeth twice a day and using a tongue brush.